King Tutankhamon is dead. The possibly-divine ivory cat Nefru is still (perhaps) putting a paw into royal Egyptian affairs. Lord Ay wants a royal wife-Tut’s widow, actually-to give him the blood-right to the throne. She flees marriage with him and finds long-lost relatives. 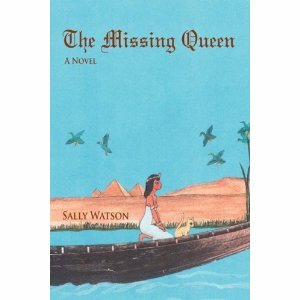 Princesses Baketamon and Meri have both longed to be Queen of Egypt-but both find sand in that honey. General Horemheb (described as being like ‘desert red, rectangles and a lion’) has sent Ranofer to find a lady once known as Twitterwit. Four competitive Hunting Parties from Thebes are searching for some long-missing princesses. Chief of Police Mahu knows where they all are, but won’t tell. His son Ranofer, who fears he’ll never fit his father’s sandals-and fears Horemheb even more-doesn’t want to know. Besotted and delusional Ahmose knows, but his incoherence just further confuses all four Hunting Parties-who were already at cross-purposes. A garrulous washerman thinks he knows everything. The kitten Katti sometimes gives what might possibly be divine messages from Nefru (or the goddess Bastet?). The massive cat Ab-ram, still always getting tripped over in doorways, still innocently certain of his welcome, changes history for all of them. This is such a close sequel to The Ivory Cat that it literally begins ten minutes after that one ends.